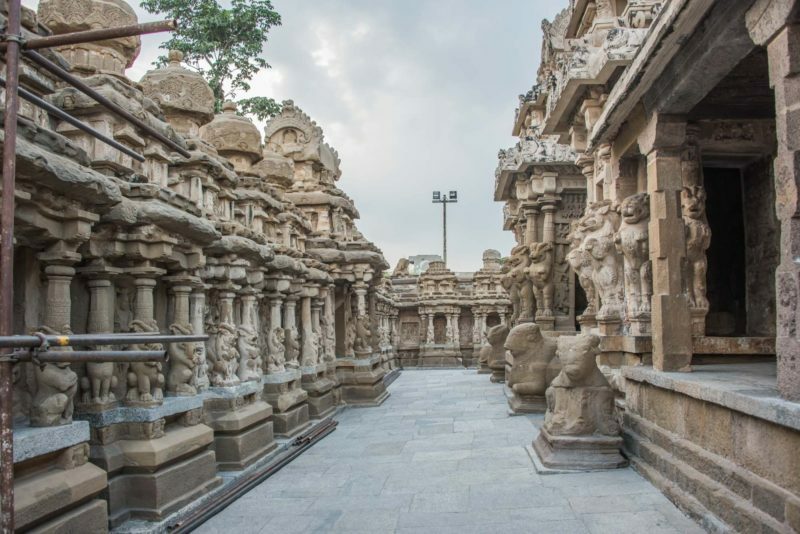 Kanchipuram or Kanchi in Tamilnadu, India – one of the major centers of education in ancient India and the capital city of Pallavas. Kanchipuram is equally important to both Saivaite and Vaishnavite Hindus. 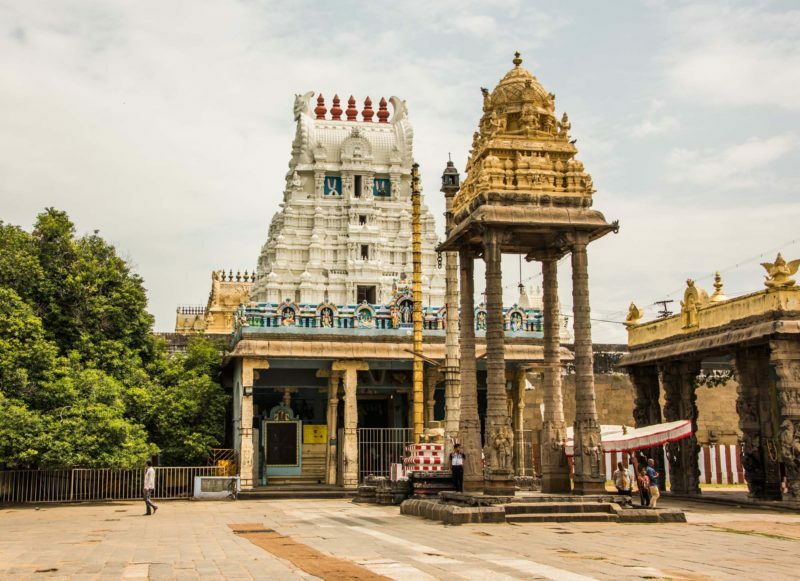 So the city’s religious presence can be divided into Siva Kanchi and Vishnu Kanchi. In ancient times, Buddhists and Jains were thriving in this city with their religious centers established. 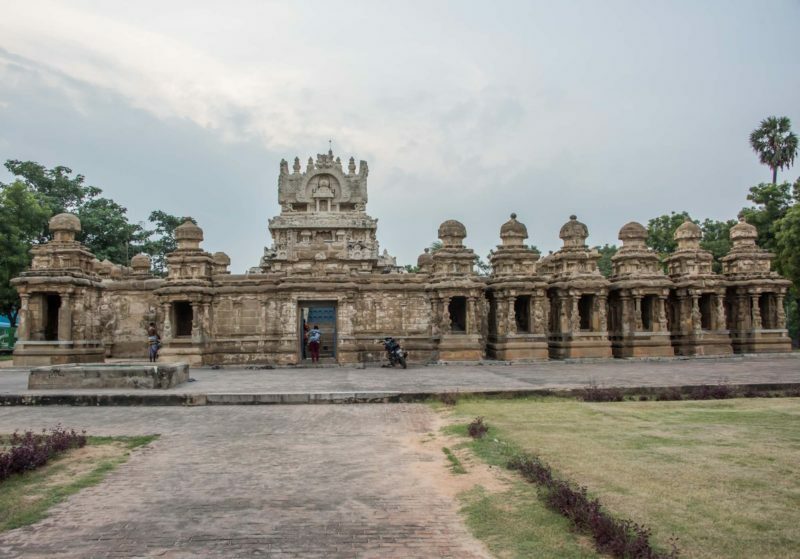 The highlight of this city are the numerous temples built by Pallavas, Cholas and later additions by Vijayanagar kings, showcasing their temple building skills. The combined architecture (along with other architectures followed by Hoysala, Chalukya etc) make up the Dravidian Architecture style of temple building followed even in SE Asia such as Angkor Wat of Cambodia and Prambanan in Indonesia. Personally, I was always fascinated by Kanchi and its temples. For example, Ekambareswarar temple is my favorite having grown up reading Sivagamiyin Sabatham, an epic novel written by Kalki about the Pallava dynasty and their rivalry with Pulakesi II of Chalukya dynasty. The novel ends with Sivagami, the protagonist dancing in the Ekambareswarar temple. Last year on my visit to India, I planned to visit the city but could not due to other commitments but this time my wish was fulfilled as I had a chance to explore this old city. 4 standout temples in Kanchi are being covered in this article though the list is slightly subjective. Ekambareswarar temple (aka Ekambaranathar temple) was built by Pallavas around 600 CE. It was later rebuilt by Chozhas in 9th CE. This temple is dedicated to Lord Siva. 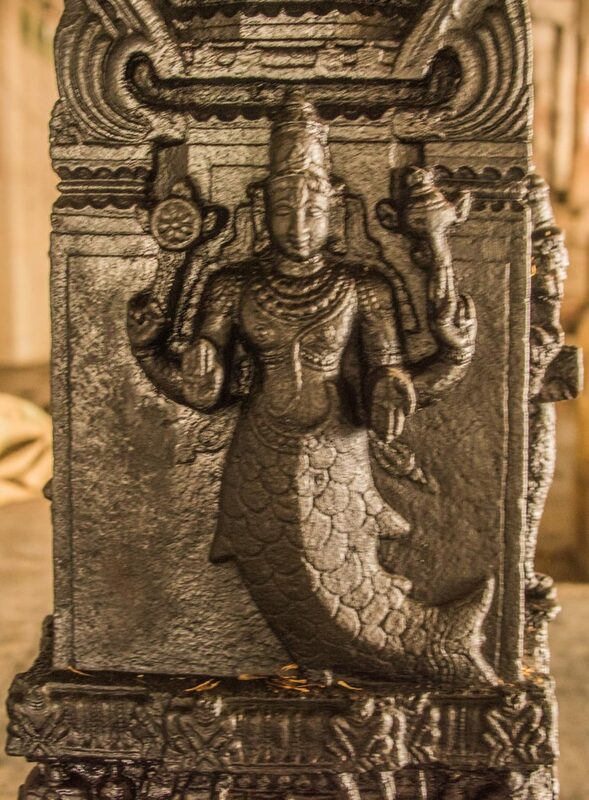 It is one of the Panchabootha sthalams of Lord Siva, this temple representing Earth. Ekambareswarar temple itself is impressive & showcases Chozha architecture with beautiful sculptures adorning the pillars. It is one of the largest temples in India. 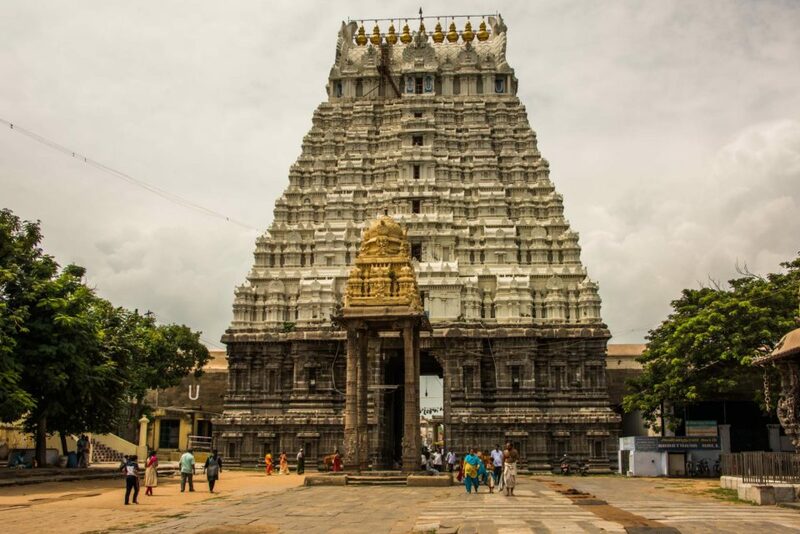 The raja gopuram is about 59 m tall making it one of the largest gopurams in India. It also houses Nilathingal Thundam Perumal, one of the 108 Divya Desams or holy sites revered by Vaishnavites. Kailasanathar temple,built in 7th CE by Pallavas using Pallava architectural style and is one of the oldest temples in the city of Kanchi. The rock cut style is followed in the Mamallapuram site as well. 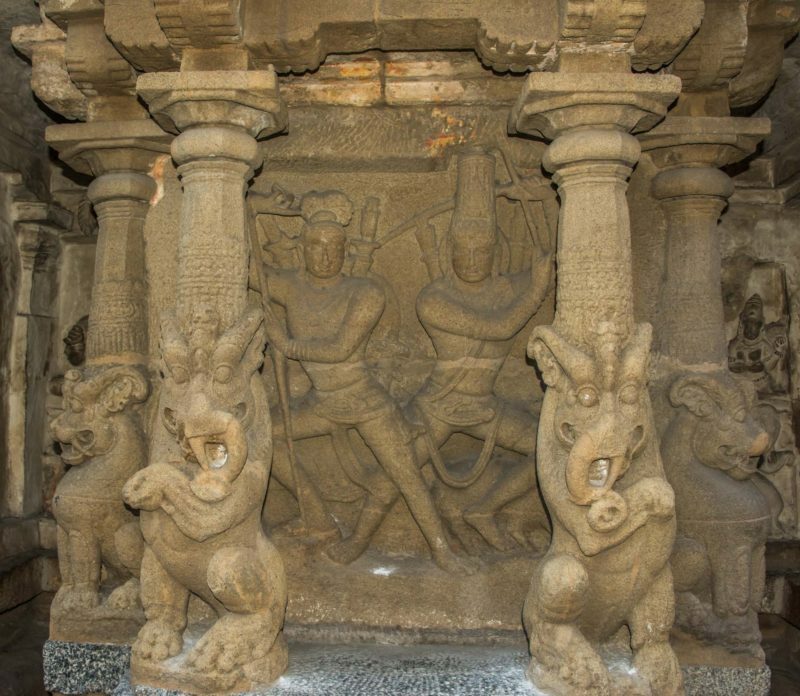 With the sculptures in sandstone while the foundations are in granite, it is dedicated to Lord Siva. Kailasanathar temple has 58 small shrines depicting Siva in different forms, exquisitely carved, along circumambulatory passage. Around Garbagriham, an inner circumambulatory passage depicts Hindu rebirth – one would crawl through the deathgate & come out through the birthgate. Such passage is very unique and I have not seen it elsewhere in other temples. Varadaraja Perumal temple, dedicated to Vishnu, was built in 11th CE by Cholas. Additions were later made by Vijayanagar Kings. 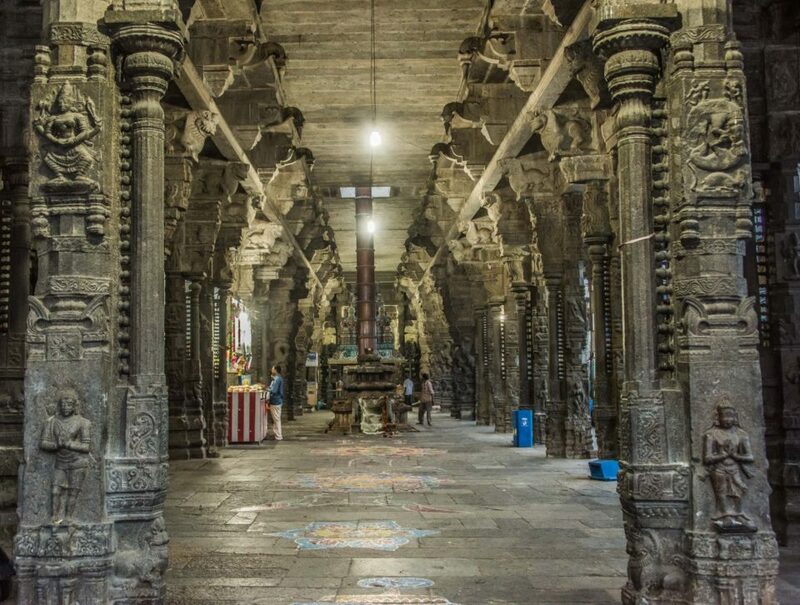 Varadharaja Perumal temple is one of the 108 Divya Desams mentioned by Alwars.The architectural style is a mix of Chola and Vijayanagara due as it was built over a period of centuries. In 1688, main deity was moved to near Trichy in anticipation of Aurangazeb’s attack & moved back in 1710 after his death. The temple carries inscriptions in Tamil, Telugu and Kannada. Kamakshi Amman temple is dedicated to Kamakshi, an avatar of Parvathi. The temple is associated with Adi Shankaracharya. Probably built by Pallavas, age is unknown. The temple is one of the Shakthi Peedams – sacred places of AdhiParasakthi. There are numerous other temples in Kanchipuram which I have not covered here and which are equally as old as the temples above. Kanchipuram houses 14 of the 108 Divya Desams for Vaishnavite Hindus. 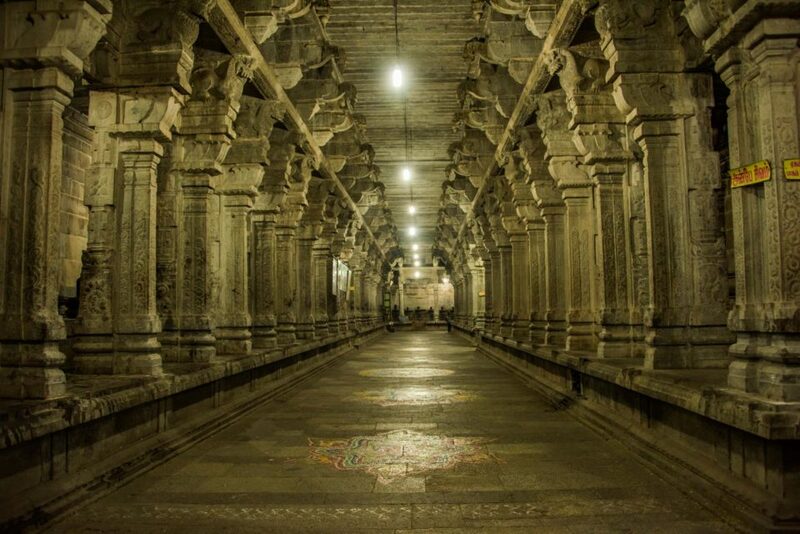 Some of the other noteworthy temples are Trilokyanatha Temple for Jains and Vaikunda Perumal temple. No wonder, Kanchi is chosen as one of the heritage cities for preservation under National Heritage City Development and Augmentation Yojana scheme of Government of India. The list of all the temples can be seen here in this Wikipedia article though I have not verified the accuracy of the article – https://en.wikipedia.org/wiki/List_of_temples_in_Kanchipuram. How to get to Kanchipuram? Chennai is the nearest city to Kanchipuram, located about 75 Kms and has international airport. 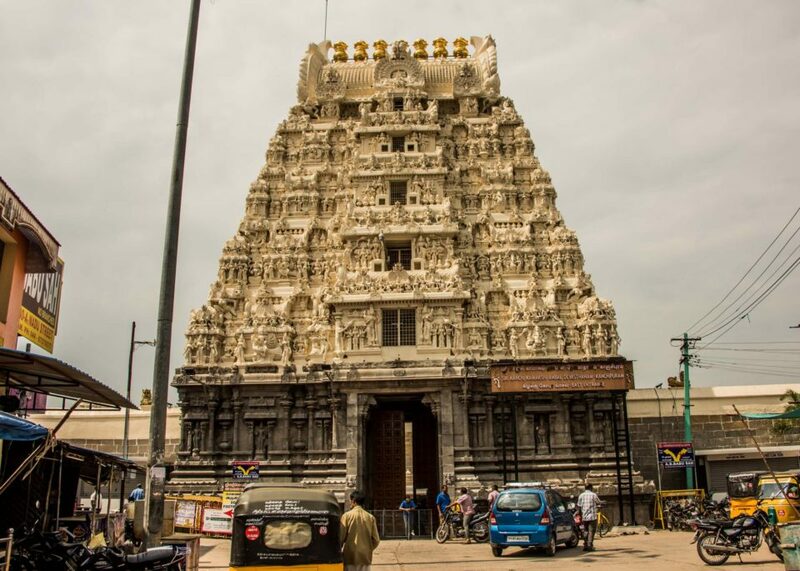 Cabs are available from the airport to Kanchipuram for about $20-$30 roundtrip. Alternatively, there are metro trains which ply from Chennai beach station to Kanchipuram, which stop at Meenambakkam and Trisulam stations, which are located near Chennai airport. I took the metro train which took about 2 hours and cost me about 15 rupees (25 cents) for 2nd class fare and 160 rupees (2 1/2 USD roughly) for first class fare each way. How to get from one temple to other? The best way to move from one temple to another is taking the autorickshaws or Tuk-Tuks. Talk to the local shopkeepers to get a feel for the rates for hiring these autorickshaws and they would suggest the rates. As per my experience, the autorickshaw drivers are reasonable with their demands.